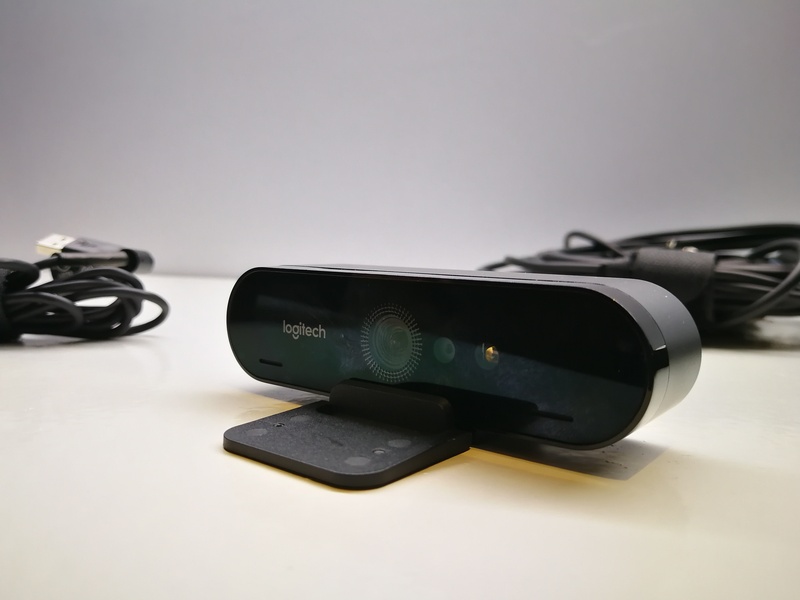 Logitech has revealed its latest webcam, the Logitech BRIO 4K Pro, the first webcam with Ultra HD support with HDR and a 5x near-lossless zoom. The company’s first 4K webcam, the BRIO also supports Windows Hello, Microsoft’s face-recognition security system. However, there’s more to it than just packing in pixels. 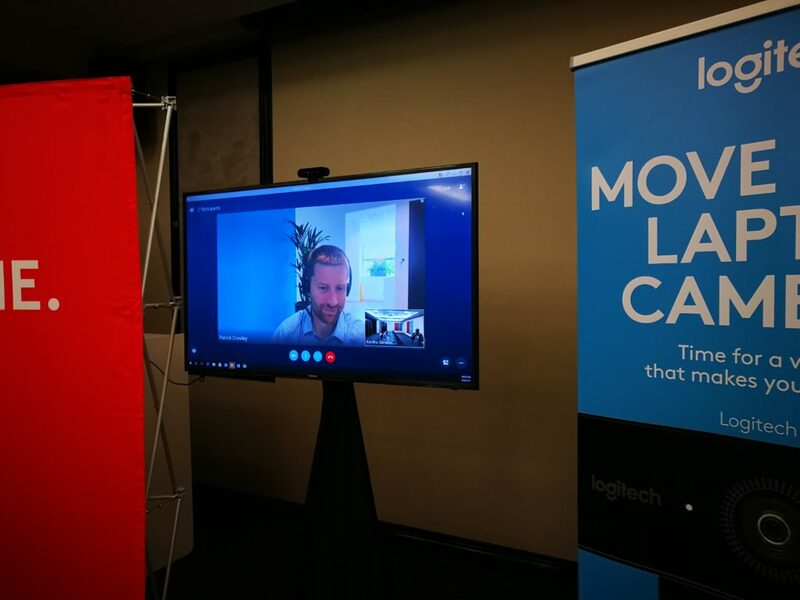 Indeed, Logitech is upfront about the fact that, for web conferencing at least, 4K is overkill. There are few video calling services which currently support Ultra HD for a start, and when you factor in the requirement for a fast enough broadband connection, the audience requiring 4K for calls is fairly small. What Logitech is counting on is convincing you – and plenty of other people like you – that the webcam built into your laptop is actually pretty dire. That’s because 480p and 720p are still commonplace, even in flagship notebooks. In contrast, the BRIO webcam not only supports 4K at 30 fps, but 1080p at 60 fps (there’s also a 720p/90fps mode available). Thanks to sensor cropping, Logitech can offer near-lossless zooming at up to 5x, when capturing at 1080p resolution. In addition to 4K, there’s also HDR support. What 4K could be useful for is recording, and there Logitech has designed in some clever details too. The mounting clip is now detachable, for instance – it also includes a privacy cover for the lens – and underneath there’s a standard tripod screw. The connector is now USB Type-C, and rather than a fixed cable there’s a port instead; Logitech includes a USB Type-A cable in the box, but if you have a laptop with a USB-C port you can switch the cable over yourself. In addition to 4K, there’s also HDR (high dynamic range) support. Just as we’ve seen on smartphone cameras, the goal there is to pick detail out of brighter areas of the frame, along with preventing darker areas from getting murky. Logitech says HDR also pays dividends in side-lighting situations, such as when you’re sat with a window on one side and half of your face is over-lit. That HDR support is baked into the BRIO camera itself, too, rather than requiring PC-side processing. It’s not the only visual cleverness, though. The BRIO can be switched between there different fields of view: from the largest 90-degrees, through 78-degrees, and finally 65-degrees, depending on how much of the room you want in the shot. There’s the potential to change that FOV mid-call, too, though for the moment you’d need to switch into Logitech’s settings panel to do that. With APIs for controlling both FOV and digital pan/zoom, though, Logitech is counting on software partners adding controls directly into their video call and recording apps. Along with Windows Hello support – thanks to the addition of an IR sensor – there’s also compatibility with KeyLemon, which offers similar facial recognition security for both Windows and Mac. Logitech will include its Personify background replacing/blurring app too, though it’s still in beta. There’re also dual omni-directional microphones. Logitech will offer two versions of the BRIO, in fact. For businesses there’ll be the “BRIO” branded version, in a plain box, while consumers will get the Logitech BRIO 4K Pro Webcam, with retail packaging intended to stand out on store shelves. Both will have the same specifications and, indeed, the same price – R4 599 – and come with a carrying pouch. The webcam is available on shelf as you read this.